The House of Jones: Twilight Movie, Here I Come! Twilight Movie, Here I Come! Yep! The movie I've been waiting months to see opens on 11-21. But, I'm going to the midnight showing, tomorrow night at 11:55 p.m. There's a group of us going and I'm going to be wearing my new t-shirt which says, "Fanpire, love me, love my obsession." It's going to be a great night with the girls! Wowie. I can't wait. 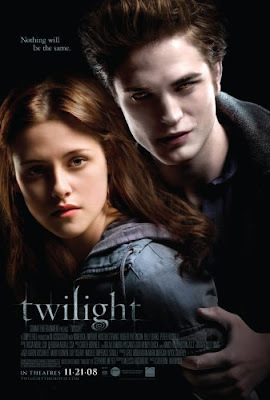 As a fairly new Twilight fan I feel so lucky I haven't had to wait a LONG time to see the movie. KT and I are going Tuesday during "school hours." That way we'll avoid the mobs!